David Bowie stole the show at Wednesday’s Brit music awards without even showing up, while Arctic Monkeys took home two big trophies at British music’s leading prize night. The 67-year-old Bowie, who is enjoying a renaissance with his first album in a decade, “The Next Day,” was named British male artist of the year. The trophy was accepted by supermodel Kate Moss. Katy Perry, Pharrell Williams, Bruno Mars, Nile Rodgers, Arctic Monkeys, and Beyonce were among the performers during the flashy Brits ceremony at London’s O2 arena. 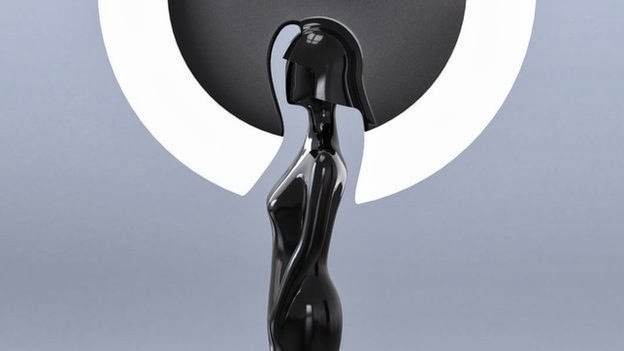 Music legend Prince — who is in the midst of a string of British dates — showed up with his band 3RDEYEGIRL to present the award for best British female artist to singer Ellie Goulding.